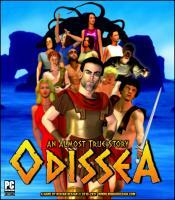 Who has not heard of Homer's 'Odyssey'? 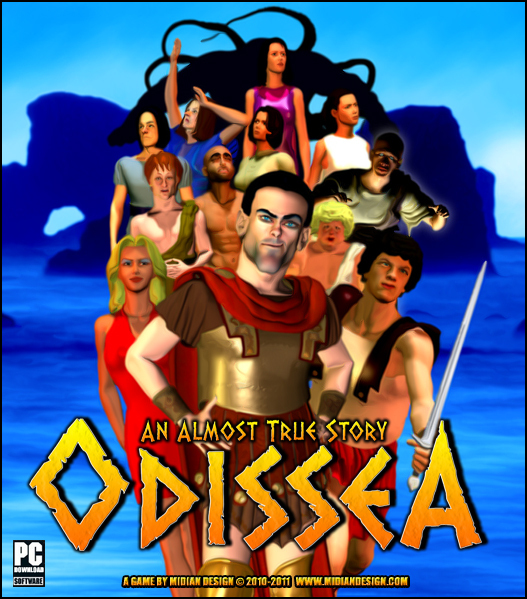 "Odissea - An Almost True Story" is an adventure that "almost" recounts the deeds of Ulysses, taking him to legendary places, such as the cave of the Cyclops, Calypso's island, the Sirens' tavern... a long journey in search of his homeland, Ithaca, where his beloved Penelope has been awaiting his return for many years. Troy has fallen by his ingenuity, but mocking a god is unwise (and the euphoria of the victory is no excuse): Ulysses will pay dearly for this error. There will be many tests that he must undergo in order to appease Poseidon, but fortunately not all of the gods want to see him suffer. Indeed, Athena is on his side, and, thanks to her advice, our hero will once again be able to see the coasts of Ithaca, where other troubles await him... Twenty years is a long time, and the Proci have been courting Penelope with a view to marriage in order to rob Ulysses of his throne and his island dominion. Who among the pretenders will successfully draw back the King's magic bow and demonstrate his supremacy in the archery contest for the Queen's hand? One of the princes? Ulysses' son, Telemachus? Or Ulysses himself, who has returned just in time thanks to his tenacity (of course, he could have returned earlier - twenty years is a long time...)?